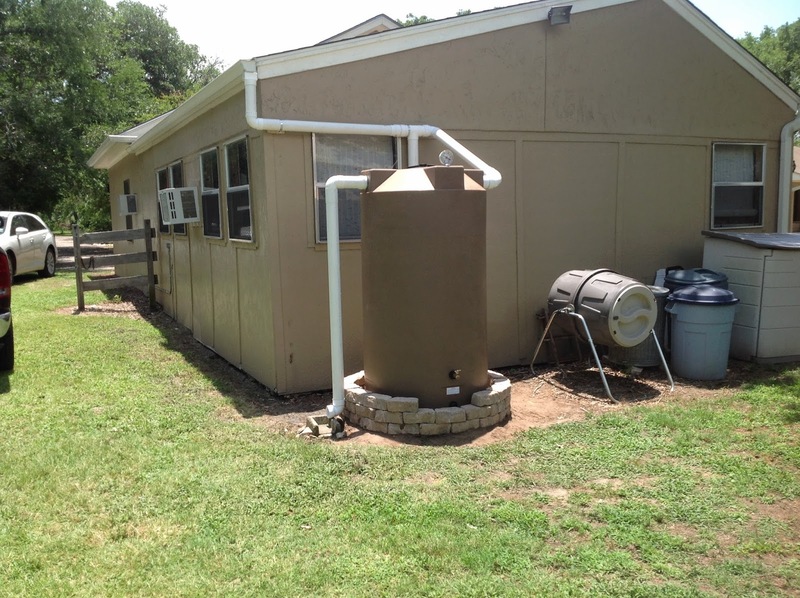 Over the weekend, we had the privilege of installing a 250 gallon polyethylene rainwater tank for a customer. 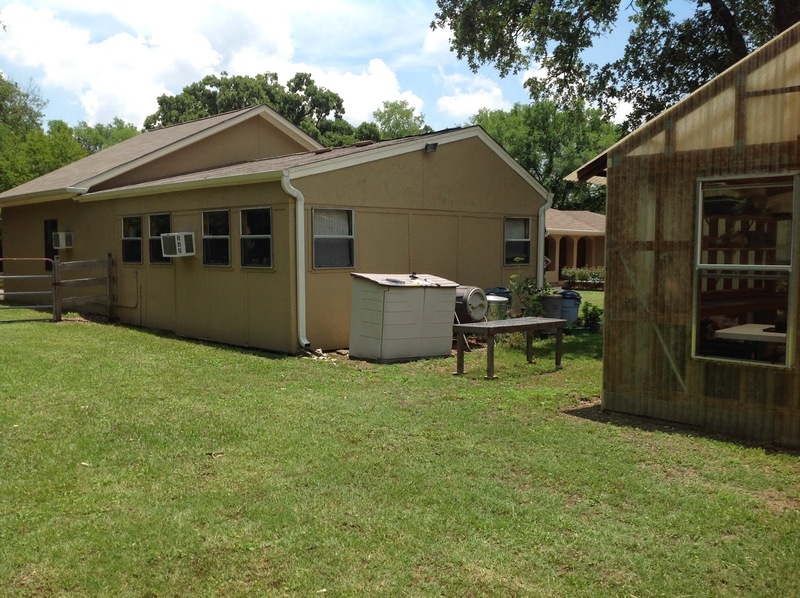 Below are the before and after photos we took of the installation. 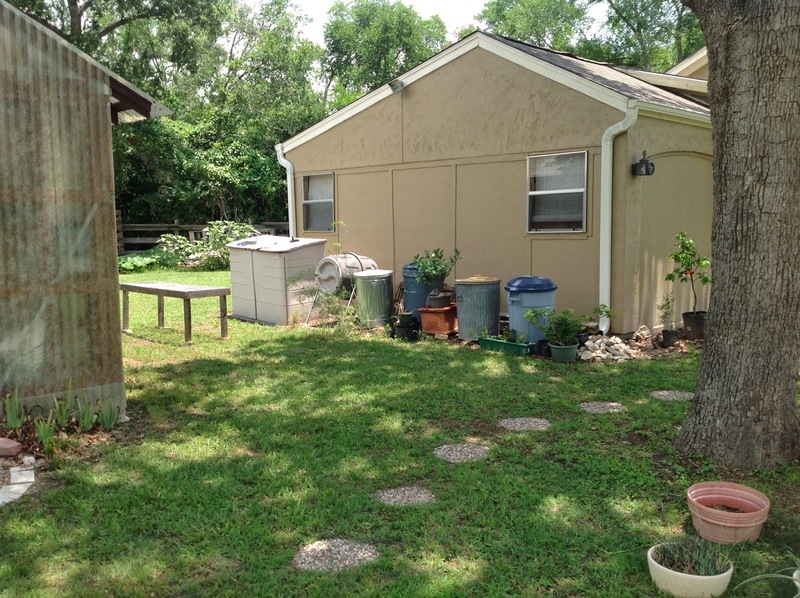 The 2 pictures below were taken 3 weeks prior to the installation, of the backyard space identified as the best location for the rainwater harvesting system. The determination of tank placement is a collaboration of information taken from our site survey and discussion with the customer of what their precise needs are for the rainwater being harvested. This process allows for the most efficient placement for water usage. We arrived bright and early at 7 am to beat the heat. 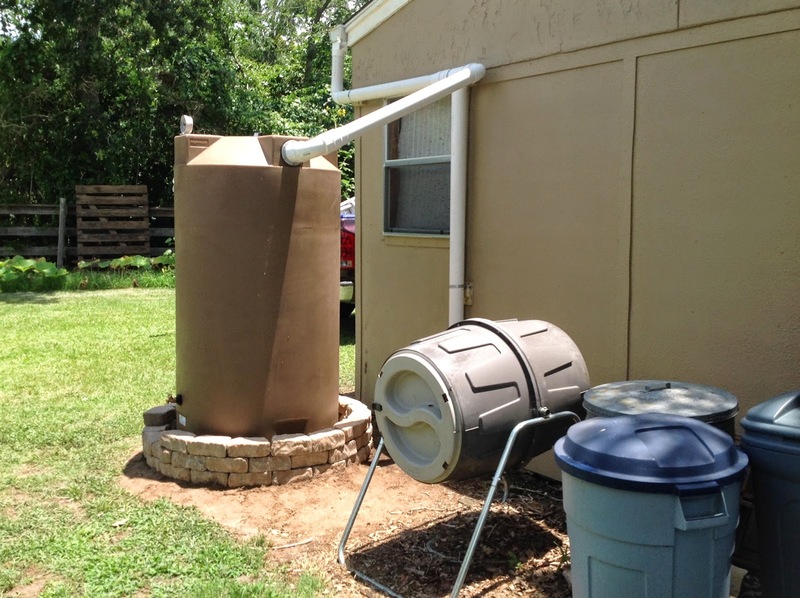 We built the tank pad (round rocks around the base of the tank) and constructed all the PVC fittings needed to connect from the gutter to the tank (inflow) and the water overflow. This includes First Flush Diverter and a Water Level Gauge also installed on the tank. Normally our water test involves taking a hose into the gutter to check for leaks from gutter to tank. Today right as we finished the final joint from gutter to inflow, we had a small downpour and thunder. We were able to actually capture a few gallons of rain into the tank. It is music to the ears to hear water going into an empty tank. Categories: 250 gallon, Homeowner, Plant Irrigation, Polyethylene, Rainwater Collection | Permalink.